achievement, Yogi didn't miss: "Getting her to marry me. As a manager he won two pennants the hard way, with the 1964 Yankees (who needed a stretch drive surge to take the pennant, after being bedeviled earlier in the season by a lack of bullpen consistency until late-season acquisition Pedro Ramos delivered nine key saves) and the 1973 Mets (dead last in the National League East to start September; division and pennant winners to finish the season before losing a seven-game World Series to the Athletics). The latter may have been his managerial masterpiece. of their election to the Hall of Fame. We have some balls and mitts from Yogi. Stuff is in boxes for the move, can't wait to get them set out somewhere. We have a room for it, much, much bigger than we had. Oh, I do too---as long as he's not to within ten nautical miles of my pick-a-nick basket! Nice article, nice memories from a decent soul. Many of us know Yogi more for his "Yogi-isms" than his baseball record. My favorite was in reference to a Steve McQueen movie: "He must have made that movie before he died." Rest in peace, Yogi. You were the best -- on and off the field. * With Yogi Berra as the Yankees’ regular catcher, Yankee pitchers not named Whitey Ford did better on the mound when throwing to him than they did with anyone else behind the plate, Yankee or otherwise; and, they did better as Yankees with Berra behind the plate than they ever did with any other team for whom they pitched. That group included the one Yankee pitcher not named Ford who was thought to be a Hall of Famer in the making who fell short enough: Allie Reynolds. a) led his league in putouts eight times, assists five, defensive double plays six, and fielding percentage twice, to Bench leading his in putouts twice, assists once, defensive double plays once, and fielding percentage once. b) needed 38 fewer total games to drive in 54 more runs, score 83 more, strike out 864 fewer times, ground into 55 fewer double plays, and hit for a higher lifetime slash line. c) has a higher percentage of successfully throwing out would-be base stealers: 48 percent to Bench's 43 percent. d) was slightly better at fielding bunts and turning them into outs: Berra was three points above his league's average; Bench, two. 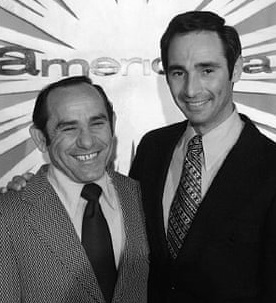 And as his eventual biographer Allen Barra once noted, the fact that Yogi Berra played on more pennant winning teams and in more World Series while winning more World Series rings than anyone who ever played the game just might make him the single greatest team player ever to play any team sport. Only the Yankees would fire managers for not winning a WS. Stengel after losing in 1960 on Mazeroski's famous ninth inning walk off homer and Berra in '64 in seven games to the Cardinals. I remember the last game of the latter. I think Bob Gibson gave up two or three dingers and still won. Berra didn't know it at the time, but his 1964 skids were greased well before that World Series. In fact, it's one of the greatest baseball double-crosses of all time. 1) After the Yankees lost the 1963 Series to the Los Angeles Koufaxes (it was, of course, the first time they were ever swept in a World Series), they were presented with an unexpected quandary when general manager Roy Hamey decided to retire while the retiring was good. That prompted then-owners Dan Topping and Del Webb---who were already contemplating selling the team---to move manager Ralph Houk into the job Hamey vacated. 2) The Yankees couldn't help noticing the Mets' surreal popularity. Assembled from National League and other castoffs, veterans, and washed-ups for 1962, the Mets took hold of New York's heart and wouldn't let go. A lot of it had to do with their manager — Casey Stengel. The man who'd managed the Yankees to a surreal ten pennants and seven World Series rings (including a term-opening streak of five straight rings) in 12 seasons now managed the Mets to ... who knew what, other than the National League's basement? All anyone knew was that New York (and, in fairness, many National League fans around the country) fell in love with this troupe who proved baseball's greatest traveling comedy show. It never crossed the Yankees' minds that — allowing that the National League hadn't been in business in New York since the end of 1957 — the toddling Mets in their surreal incompetence seemed more human than the smugger-than-thou Yankees. 3) In need of a new manager with Houk kicked upstairs, the number one thing on the Yankees' mind was finding a manager who had any kind of box office appeal even remotely comparable to Stengel's. And their options in-house were limited. Mickey Mantle wasn't quite ready to retire, no matter what his body might have been trying to tell him. (And, in fairness, not even the most cynical Yankee boss would have let Mantle even think about managing a team when he could barely manage himself.) Neither was Whitey Ford, long the brainiest pitcher in the American League, even with injuries beginning to catch up to him, too. 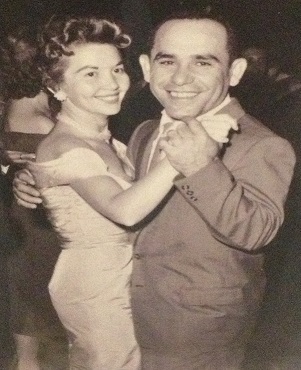 4) Yogi Berra, on the other hand, was ready to retire as a player. He'd been a player-coach for 1963 and figured to become a full-time coach with the Yankees. Except that the Baltimore Orioles made him an offer he almost couldn't refuse---then-Orioles GM Lee MacPhail offered Berra the job. And since Berra had a) baseball smarts to burn (Stengel usually called him "my assistant manager," and he wasn't even close to kidding); and, b) more box-office appeal than any Yankee not named Mantle or Ford; therefore, c) Houk decided as the new GM that Yogi was the man to manage the Yankees. 5) It probably didn't hurt that Topping and Webb needed to make the Yankees just that much more attractive to potential buyers than a measly closet full of pennants and World Series titles and a legendary ballpark could do by themselves. The Yankees were already showing their age. The farm system was parched enough; the few bona fide prospects in the Yankee system by the mid-1960s would prove to be journeyman major leaguers at best for one or another reason. And, the coaching staff suffered a shakeup when respected pitching coach Johnny Sain was fired in favor of making Ford a pitcher-coach. He was using his long relievers short and his short relievers long, and like all new managers he was waiting too long before he got his starting pitchers out of there. Still, he was operating under a major handicap. The relief pitcher who can come in over the last two innings and get the other side out can cover up a multitude of sins. Yogi didn't have him. Except for one brief period early in the season when Steve Hamilton was stopping them, and the final month of the season when they had [Pedro] Ramos, the Yankee bullpen was useless. 7) By the end of July 1964, the Yankees were sold---to CBS. Who probably knew about as much about running a baseball organisation as the Beatles knew about running a television network. And it didn't help that the sale itself was controversial and could have gotten the Yankees into a lot of trouble under different league leadership, because . . .
a) American League president Joe Cronin (himself a Hall of Fame shortstop) tried to ram the sale through by way of a telephone/telegraph vote—against league rules, which required a vote at an official, formal, in-person meeting unless the vote was known to be unanimous in the making. And this one wasn't, because . . .
b) Two owners—Charlie Finley of the Kansas City Athletics, Arthur Allyn of the Chicago White Sox—were ready to vote no to the sale. Eight teams needed to approve the deal. And Baltimore owner Joe Iglehart, whose employee Berra might have become if Lee MacPhail had had his way, was considered the swing vote who just might join Finley and Allyn. Might. c) But Iglehart had one whale of a conflict of interest of his own: he not only owned the Orioles, he chaired CBS's Financial Board and owned considerable enough CBS stock. He ended up voting to approve the sale and unloading his Oriole ownership posthaste. And even that was nothing compared to the devious double switch the Yankees planned to execute at Berra's expense. 8) Even as the CBS deal was in the works, Houk decided he was going to dump Berra at season's end no matter how it ended. Veeck swore Houk told CBS the Yankees weren't going to win the pennant and it was all Yogi's fault and everything would be rosy once the Yankees could dump him at season's end. What Houk didn't tell anyone, publicly, anyway, was that he had a potential successor in mind as well. 9) Houk's target was Cardinals manager Johnny Keane, who was being victimised by similar deviousness to that making a chump out of Berra. He had enough trouble keeping the Cardinals in the race without players going behind his back to then-GM Bing Devine. The difference was that Devine might let them air it out, but Devine stood by his man. He knew Keane at the time was a players' manager who was particularly deft with the Cardinals' black players and in knocking down suspicions between them and the team's white players, but he made it plain that Keane was there to stay. 10) But Keane soon learned something Devine didn't know: the Cardinals were greasing his skids, too; particularly, owner Gussie Busch was succumbing to the proddings of Branch Rickey, then an advisor to the team, and of broadcaster Harry Caray. And they were pushing Busch to think about dumping Keane and hiring then-Dodger coach Leo Durocher to succeed him after the season. 11) Somehow, through a back channel (because a public overture would have gotten both men in hot water), Houk learned that Keane would indeed be interested in the Yankee gig if Berra was facing a date with the guillotine. It got even trickier when the Cardinals, for whatever damn fool reason, dumped Devine in August 1964. It now looked as though both the Cardinals and the Yankees had accepted that they were going nowhere but home come October. * The Phillies collapsed spectacularly, thanks to the infamous September ten-game losing streak, going from having the pennant in the bank to a season-ending weekend that in theory could have ended in a three-way tie for the National League pennant. * The Yankees took over first place in the American League between August and September, aided by two pitchers: rookie call-up Mel Stottlemyre, who went 9-3 with a 2.06 ERA down the stretch including a five-game winning streak; and, veteran pickup Pedro Ramos, a journeyman starter who proved lights out out of the bullpen, saving several key September games. They took first place to stay September 17, but still had to ward off continued tight challenges from the White Sox and the Orioles. * The day after the World Series ended, Keane shocked Busch at the press conference Busch called to announce his re-hiring---by handing Busch his letter of resignation. Berra went to the Yankee offices thinking he'd been called in to start making plans for the 1965 season ... and came out with his head in a guillotine's catch basket. Bless his soul, Yogi probably had no clue at the time to the wheeling and dealing that preceded it, including the prospect of Keane, the man who'd just defeated him in the World Series, becoming his successor, which is exactly what happened a few days after the double switch. * Publicly, the Yankees let it be circulated that Yogi got his because he hadn't done a good job. What nobody in the Yankee hierarchy ever explained satisfactorily was this: If Berra was such a horrible manager, how the hell did the Yankees manage to win that pennant by winning thirty out of forty-three games, including one eleven-game winning streak and fifteen of their final nineteen games. "Unless I have been sadly misinformed by all those sensation-seeking columnists," Veeck wrote, "the manager during that stretch run was Yogi Berra." And, as the man used to say on the radio, now you know the rest of the story. Only the Yankees would fire managers for not winning a WS . . . Try this one on for size: Rogers Hornsby won the 1926 World Series as the Cardinals' player-manager . . . and was traded after the World Series, to the New York Giants, in the deal that made a Cardinal player-manager out of Frankie Frisch. It's sort of a mystery why more hasn't been written about Hornsby considered by many to be the greatest right-handed hitter in NL history. A few years ago I read a bio of Hornsby. One story was about when he was near 60 and fat and out of shape as a hitting coach for the Giants in the early fifties. He was trying to teach a bunch of young Giants how to hit to the opposite field. One of the young Giants included Alvin Dark. After taking a considerable amount of strong criticism from Hornsby for failing to do/hit as Hornsby directed, Dark threw his bat down and angrily asked Hornsby if he could do better. Hornsby told Dark to give him his bat and stepped into the batting cage. Dark said his jaw dropped in wonder as Hornsby hit ball after ball against the right field wall or into the seats. Then Hornsby threw the bat down saying "that's how you do it." Hornsby wasn't generally liked by most of the people he played with or managed. Not the most loving personality. Hornsby was actually one of the most hated men in baseball going back to his playing days---his teams tended to look for the earliest feasible excuse to be rid of him no matter how well he hit. The Cardinals actually tried trading him to the Giants for Frisch a couple of years before they actually got the deal, but at that time the Giants weren't ready to lose Frisch---only when Frisch fell out with manager John McGraw were the Giants willing to make the deal. Hornsby probably only lasted as long as he did as a player because he could flat out hit. His penchant for playing the horses at every known opportunity also tended to rub teammates, managers, and owners the wrong way, too; he had a reputation as a man who'd be willing to be late for even a World Series game if he thought he might make a score at the track. As a manager, he was respected for his game knowledge and despised for, well, just about everything else, including and especially his contempt for pitchers no matter how good they were. When Bill Veeck hired him back to the St. Louis Browns to manage them for 1952, Hornsby didn't last past 51 games. His players came to hate him so much than when Veeck canned Hornsby, they presented Veeck with a trophy engraved: TO BILL VEECK: FOR THE GREATEST PLAY SINCE THE EMANCIPATION PROCLAMATION. NED GARVER AND THE PLAYERS OF THE ST. LOUIS BROWNS. Hornsby tried to claim the trophy was a stunt dreamed up by a Veeck underling, but Veeck himself (in his memoir Veeck: As in Wreck) said he was surprised completely by the trophy. The subject of how well old time players would do today and how modern players (post WWII)would do pre-war has been around for many decades. Growing up in the fifties and sixties I remember reading numerous stories by "experts" who dismissed modern players because their stats didn't match those of the old timers. For many years I believed the experts who included among others Mike Royko. I remember reading a quote from Jumpin' Joe Dugan that no modern Yankee could have played in his era. It was only until I got older into my late teens and early twenties that I realized many modern players would indeed have done very well in the old days and most old time greats would not be able to match their incredible stats in the modern era. The introduction of bigger gloves, the improvement of pitchers, night baseball, and in some cases bigger ball parks would guarantee that many old time players would not duplicate their stupendous stats today. Nevertheless, I believe a number of old timers would do very well today. A great athlete in the old days would still be a good athlete today. It is interesting that both Ty Cobb, who was very fast, and Rogers Hornsby who was considered by many to be the fastest player in the NL were also the top hitters for average. They maybe wouldn't stand out so much today for their speed, but they were undoubtedly excellent athletes. I don't think Babe Ruth would hit homers and for average like he did. But he might hit more homers considering the pitchers are faster today. Ruth, despite his bulk later in his career, was a superb athlete. If you've read Bill Jenkinson's "The Year Ruth Hit 104 Homeruns" you know that as yet nobody has hit balls as far as Ruth. He had tremendous power and great reflexes. I suspect today Ruth would hit a lot of homers, strike out more, and hit about around .300 rather than .340-.350. I believe Cobb and Hornsby would still hit for average (and Hornsby for power) but assuredly not near the incredible stats they generated in their day. He had power, no doubt about it. But he wasn't that great an athlete. As an outfielder, he was about league average with about an average throwing arm. He was a none-too-great baserunner who still insisted on trying to steal bases but usually hurt his teams with it, and not just by running himself into the final out of the 1926 World Series. He's thought to be some great athlete because he was picking up all those triples, but look more closely---as a full-time Yankee, he played in a pair of home parks (the Polo Grounds from 1920-23; then, the first Yankee Stadium) with ridiculously cavernous-enough left center fields (and it was equally cavernous in right center field in the Polo Grounds; only four men ever hit home runs over the straightaway center field bleachers on either side, 468 feet from the plate, and none of them was Ruth), enough that anything he hit to the opposite drive anyone could have run into triples. Those parks also had extremely short right field lines, with Yankee Stadium being built and arrayed specifically to accommodate his lefthanded power. Concerning Ruth in the night-ball era, I've seen calculations that have him hitting maybe 20 less home runs lifetime and batting lifetime in a range of .295-.305. Which would make him a Hall of Famer anyway. He might strike out a little more in the night ball era but then he might not (he did have a good eye at the plate even if he didn't face as many superspeed pitchers in his day as he might have faced in, say, the 1950s and 1960s), but since he was at best a league-average defender he might shake out slightly worse in the night ball era. On the other hand, if Babe Ruth had begun his career as a pitcher in the night ball era . . . he might never have been taken off the mound no matter how well he could hit. He might not have become what Sandy Koufax became when Koufax became Koufax, but he might been pitcher enough and maybe among his league's top ten. His actual career pitching averages include 107 strikeouts per 162 games and 97 walks per 162; in the night ball era, he might have hiked the strikeout average to about 175 per 162. From the look of it he worked to his defenses as much as anything else, and with the kind of superior fielding that began to emerge with the advent of larger gloves and fielders more attuned to the returning running game of the 1950s and 1960s, Ruth as a regular pitcher in the night ball era might have had a career comparable to Whitey Ford's, assuming he pitched on the kind of teams Ford did. As a Yankee, Ruth would have been an ideal pitcher since he was lefthanded and Yankee Stadium was very friendly to lefthanded pitching, especially against righthanded hitters who insisted that the only legitimate hitting was pull hitting. "He had power, no doubt about it. But he wasn't that great an athlete. As an outfielder, he was about league average with about an average throwing arm"
He had more power than anybody in ML history. Read Jenkinson's book. As for his throwing arm, one baseball expert, Rick Weiner, picked Ruth as the 15th best arm in ML history. Ruth threw out 204 runners in the course of his career. Of course, after a while many runners didn't try to test his arm. He still pitched games for the Yankees well into his thirties when the club was short arms. He pitched a complete game in 1930 at age 35 and in 1933 at age 38 winning both games. He remains the greatest player in ML history. c) Hank Aaron, the man who knocked Ruth out of first place on the all-time home run list (and if Willie Mays hadn't lost two seasons to the Army in the early 1950s it's pretty fair to say he would have broken Ruth's record and maybe Aaron would have broken Mays's), also threw out more runners from right field (179) than Ruth did; even playing five more seasons than Ruth that's still pretty impressive. d) Both Clemente and Aaron played in a tougher era for defenders since a) night ball was well enough in play when they began their major league careers; and, b) speed became a lot more emphasised in the 1950s and 1960s than it was in Ruth's time as a position player. e) As strange as this may sound considering his career total, and it surprised me to see it, too, Ruth never once led his league in assists from right field. (Neither did Aaron.) Clemente did it six times. I think it's absolutely fair to say Babe Ruth was the greatest player of the pre-World War II era. But place him in the game you and me grew up watching and still watch today---a game played more than half at night, with an available talent pool that's far more broad than the game played before our time---and we would be very hard pressed to say credibly that Ruth was the absolute best player of his time, never mind all time. He'd likely be top ten or top fifteen, and it would still be enough to make him an overwhelming Hall of Famer. We will have to agree to disagree. My all time favorite ballplayer is Hank Aaron. Aaron was most likely a better fielder than Ruth, but not quite as good a hitter. But Ruth also gets credit for being a superb pitcher for five or six years. If Ruth had started his career as an outfielder six years later when the dead ball era came to an end, he'd probably have ended up with 900 homers. Baserunning errors aside, Ruth's overall effect was gigantic. Page created in 2.627 seconds with 21 queries.